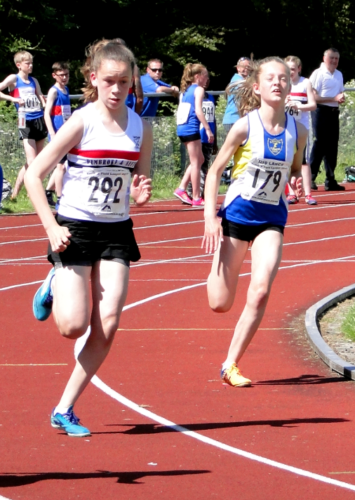 50 LPS athletes made their way to Clayton-le-Moors to contest the third fixture in this season’s Mid-Lancs Track & Field league and the boys finished as overall winners. 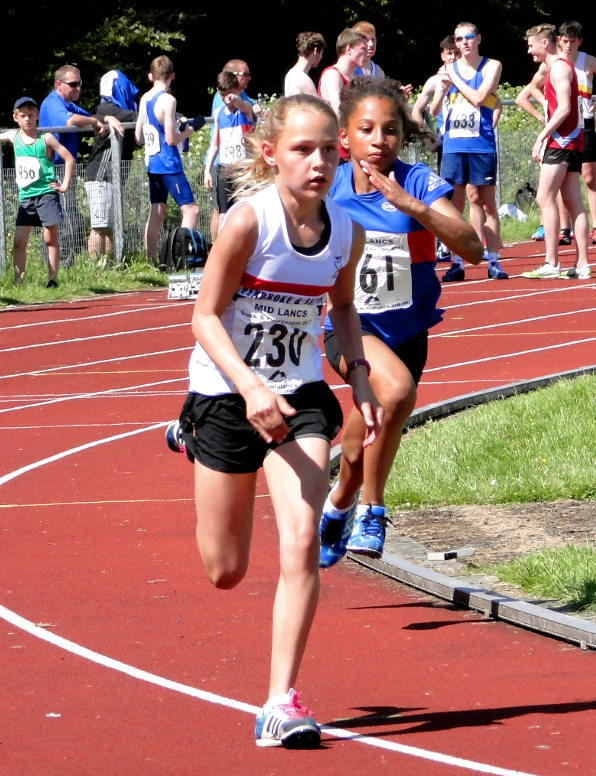 Their points score of 157.5 put them narrowly ahead of Blackburn (155) & Preston (124.5). At senior level, Matt Ingram won both long (6.30m) & triple jump (12.96m), Joe Mulhall was 2nd in the 1500m (4:22.30) as was Billy Williams in the high jump (1.75m). Callum Hynd’s discus throw of 31.04m secured him a third place finish. Kai Finch (1.90m) & Owen Southern (1.75m) made it a 1,2 in the U17 high jump, as did Joe Houghton (2:04.2) & Adam Jones (2:06.2) in the 800m, while Ciaran Scroggie was first home in the 100m (12.2). 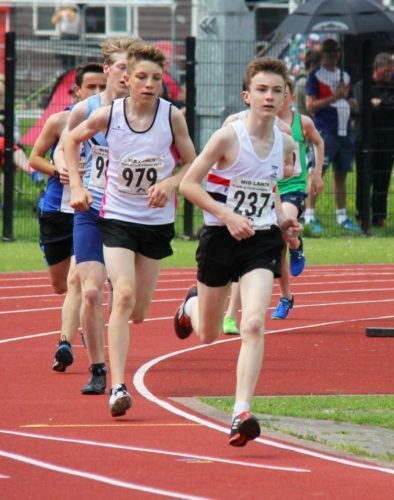 Mark Roberts secured valuable points in winning the U15 400 metres (57.6) & finishing 2nd in the high jump (1.40m). Tom Crompton did likewise, with victory in the discus (24.37m) and 2nd place in the shot (9.06m). 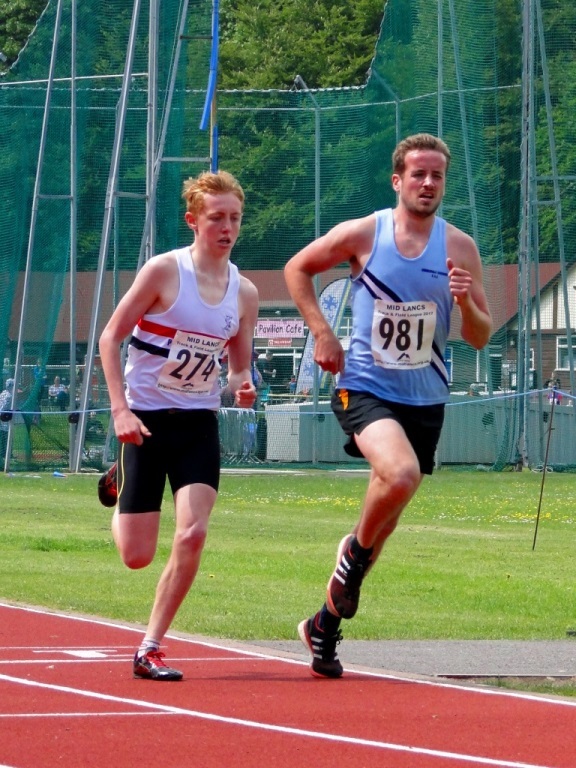 Tom Corcoran had another good run in the 1500m (4:37.1) but will be disappointed to lose first place on the last lap. The stand out performer on the day however, was U13 Olivia Morgan who achieved three AAA standard performances, with 2nd place in the 100m (13.7) & 200m (28.9) and a throw of 18.06m in the javelin.